When RF modules are tested, external sources of interference (nearby base stations, adjacent test systems, etc.) must always be taken into account. To sufficiently suppress these signals, the test fixture is shielded against high-frequency interference. * The BLUETOOTH® word mark and logos are owned by the Bluetooth SIG, Inc. and any use of such marks by Rohde & Schwarz is under license. Other trademarks and trade names are those of their respective owners. Optional absorber material on the interior walls absorbs reflections and prevents reverberating waves, permitting reproducible and reliable measurements. 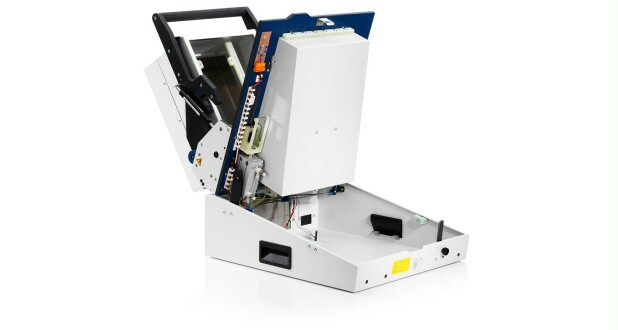 The shielded RF Test Fixture R&S®TS7110 consist of a base and fold-out upper part with pneumatic support for easier opening and closing. The upper part (1) includes a mechanical interface for UUT positioning as well as other test fixtures for tasks that need to be performed from the upper side of the UUT. The base (2) integrates the lower part of the RF chamber with the standardised interface for the exchangeable swap kit fixture including UUT fixing. The test system interface can be also fitted here, containing fixture control as well as additional built-ins, signal conditioning and level converters for communication with the UUT. 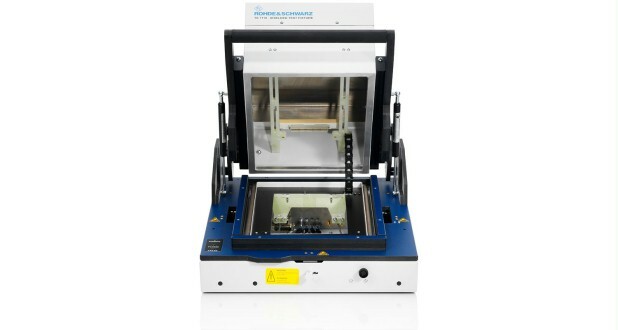 Mechanically and electrically standardised interfaces make it easy to replace the UUT fixture for testing other units or models with similar testing tasks. The modular design of the fixture is an ideal basis for quality implementation of projects in due time, either by the Rohde & Schwarz integration centres, authorised systems houses or by the users themselves. The RF test fixture can be configurated according to test requirements. Mechanically, pneumatically and electrically standardised interfaces take it easy to replace the DUT holder and down holder for testing other units or models with similar testing tasks.